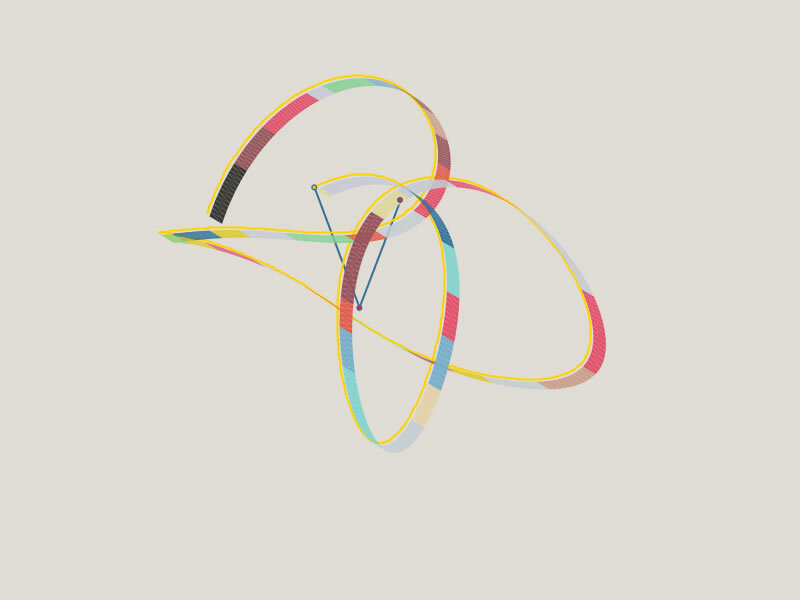 A simulation of a double pendulum – one pendulum connected to another, pushing and pulling each other in unpredictable directions – created for Awkwardx2, a painting collaboration between Rebecca Norton and Jeremy Gilbert-Rolfe. 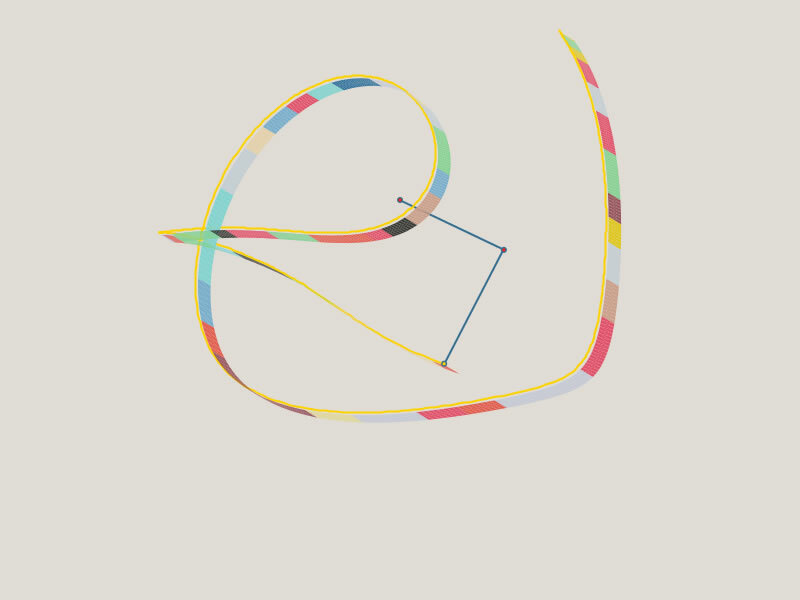 The double pendulum animation is a part of their essay for the Abstract Critical blog. Chaos, complexity and double vision, in Abstract Critical.